Prosystem Feed Computer Pro is the best choice for controlling food for plants. 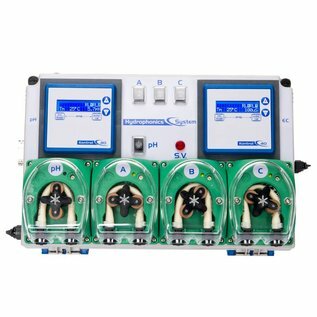 Measures and controls the predefined pH and EC levels 24 hours a day. Includes an extra boosterpump with flowsensor and a water leakage safeguard. 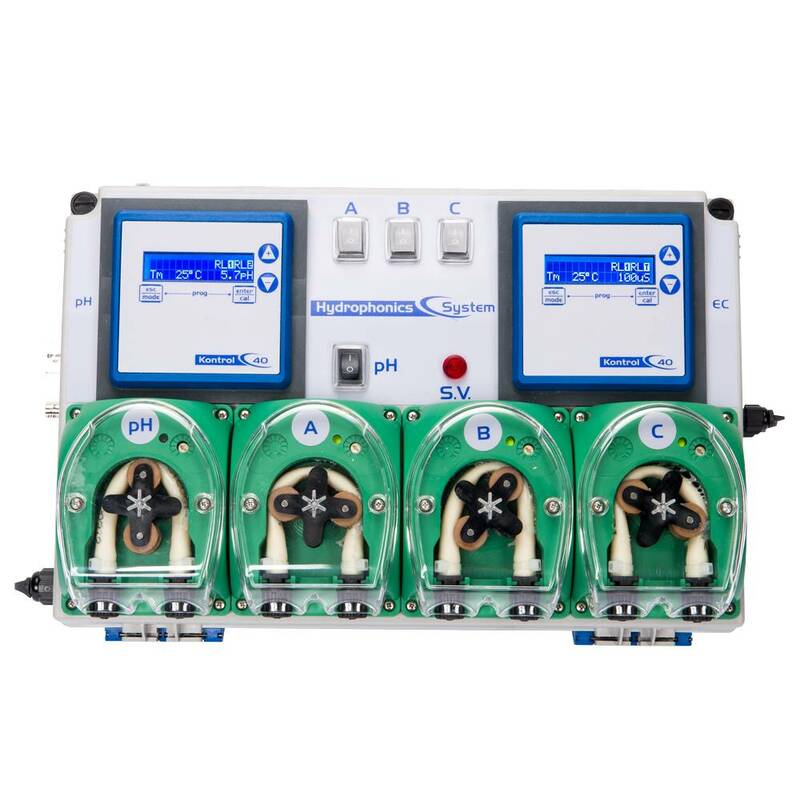 The Prosystem Feed Computer Pro comes with an additional built-in booster pump that uses a flow sensor to adjust the metering rate according to the required mixing ratio (as opposed to the Basic model which carries out the metering process in parallel with the A&B pump). In addition this version comes with a water leakage safeguard that shuts off the water supply when water runs over the tank or a hose has come loose.